Meet Natsume Kannuki, the prime minister and protagonist. Following the launch of a teaser website yesterday, Compile Heart has announced Tokyo Clanpool for PS Vita. 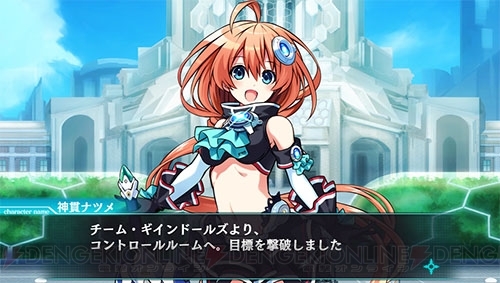 The game is part of a new Compile Heart and Dengeki PlayStation crossover brand called “Den-Pile.” It features character design by Manamitsu, who previously did some character designs for Megadimension Neptunia VII and Fairy Fencer F.
Tokyo Clanpool is set in a Japan isolated from the outside world after a devastating attack, where a new organization called the “Cyber Tactics Cabinet” was established to fight demons. With the support of the people, the new prime minister, a girl named Natsume Kannuki (voiced by Manami Numakura), leads the Cabinet of girls and fights as they aim to capture the demonic tower known as the “Dark World Diet Tower” that engulfed the National Diet Building. More information is due out on the June 8 issue of Dengeki PlayStation, which should leak in advance in the early morning on June 6, New York time. Update 10:40 p.m.: Dengeki Online has posted a preview article confirming a bit more information. 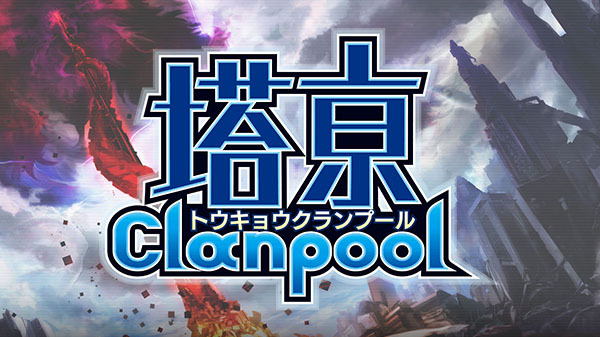 Tokyo Clanpool is the first title in the Den-Pile brand, which is underlined by the keywords “dungeon RPG revolution.” The protagonist, Natsume Kannuki, is a “beautiful girl prime minister” who will fight alongside her fellow beautiful girl cabinet ministers. The setting is near-future Tokyo. When a mysterious, upside-down city suddenly appears in the sky, a tower stretching from the city connects to the National Diet Building, forming the demonic tower known as the “Dark World Diet Tower.” The monsters that travel through this tower begin to overflow, and Japan is isolated from the outside world and falls into a state of devastation. The game features customization elements through its “Gadgeteers” system, which are cyber spirits themed after gadgets, as well as unique systems related to bills, elections, and the like that leverage its setting. Degenki PlayStation this week will feature a look at the game’s setting, an introduction to the “Diet Member Dolls” of the Cyber Tactics Division team, an overview of the “Digi-Skins” that transform through the use of a smartphone, and screenshots of the dungeons and battles. Update 06/06/17 at 7:30 a.m.: Characters fight by transforming through the use of a Cyber Smartphone. One of the game’s unique systems allows you to drill holes in the walls and floors, as well as jump over cliffs. Your exploration of dungeons is live streamed to the people of Tokyo, who will judge you. In one of the screenshots, an “approval rating” percentage can be seen. If you have a high approval rating from the people, you’ll get special bonuses and support money. The four team members listed about make up the “Diet Member Dolls.” There are a variety of “Skins,” and changing these is one of the game’s customization elements.